Note: I try to avoid spoilers in this book review. When I read Helsreach, it was my first introduction to Aaron Dembski-Bowden. Now, several years later we are presented with the follow up. Blood and Fire is the novella length sequel to Helsreach. It is presented by Black Library in one of several forms, as a separate ebook download, or packaged with Helsreach itself in hardback of ebook format titled Armageddon. If you have not read Helsreach, I would highly recommend picking up this double-copy. It is some of the best Warhammer 40k fiction around. Blood and Fire is a fitting sequel to Helsreach. In it’s novella format it contains more action, character, history, and bravery than some books four times it’s length. Not since Steve Parkers tale of The Crimson Fists in Rynn’s World, or Dembski-Bowdens, Helsreach (there it is again) have you read more visceral descriptions of battles with Orks. At the command of Marshal Helbrecht, Grimaldus finds himself saddled with a new protege. Cyneric is a potential Chaplain in the making, but ultimately his inclusion into those ranks is to be decided by Grimaldus himself. I found myself enthralled while learning about what Grimaldus, as the mentor of this potential recruit, considered important in the life of a Chaplain. I think you will too. But it doesn’t stop there. We get to see through a well placed flashback, a seminal moment in the history of Black Templars Reclusiarch Merek Grimaldus. And although he is at the center of this tale, this is really a story of betrayal, honor and vengeance of The Celestial Lions. This chapter of Space Marines, cousins of The Black Templars is also present on Armageddon. During the events of Helsreach, they fought, died and were betrayed by The Inquisition on another part of the planet. There is the return of some favorites from Helsreach here as well. In particular, Steel Legionary Andrej makes an appearance here. Now a Captain after the actions in Helsreach, he is a surprisingly popular character and his inclusion brought a smile to my face every time he appeared in a scene. The story is incredibly well paced. In the moments between action, you are sucked into the motivations of each character, and organization involved. Is the Inquisition truly behind the sad fate of The Celestial Lions? And if so, why? And more importantly, will The Celestial Lions survive the coming battle? Or will you bear witness to the extinction of a noble and proud chapter of the Adeptus Astartes? 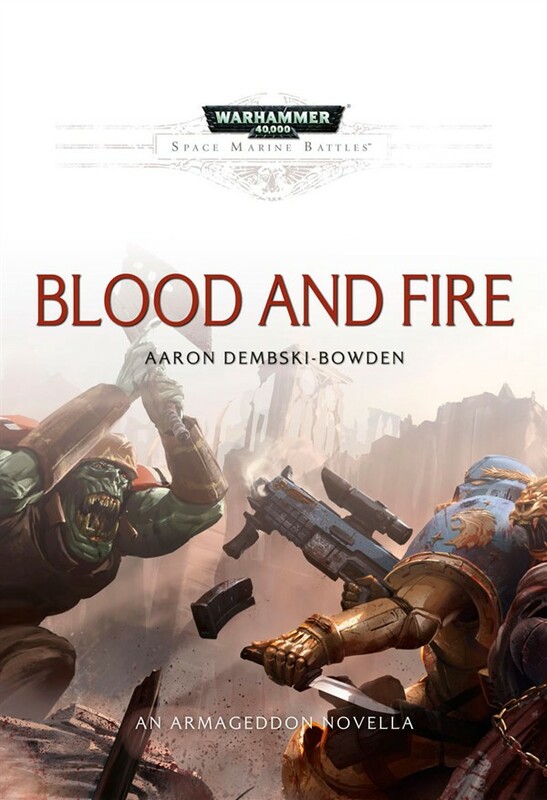 By now many of you have already read previous novels by Aaron Dembski-Bowden and know what a fun writer of Warhammer 40k fiction he is. This novella is worth more than the price of admission and you do not want to miss it!